Hello my lovely readers! I have a beautiful post for you today and I feel very excited to share it with you. 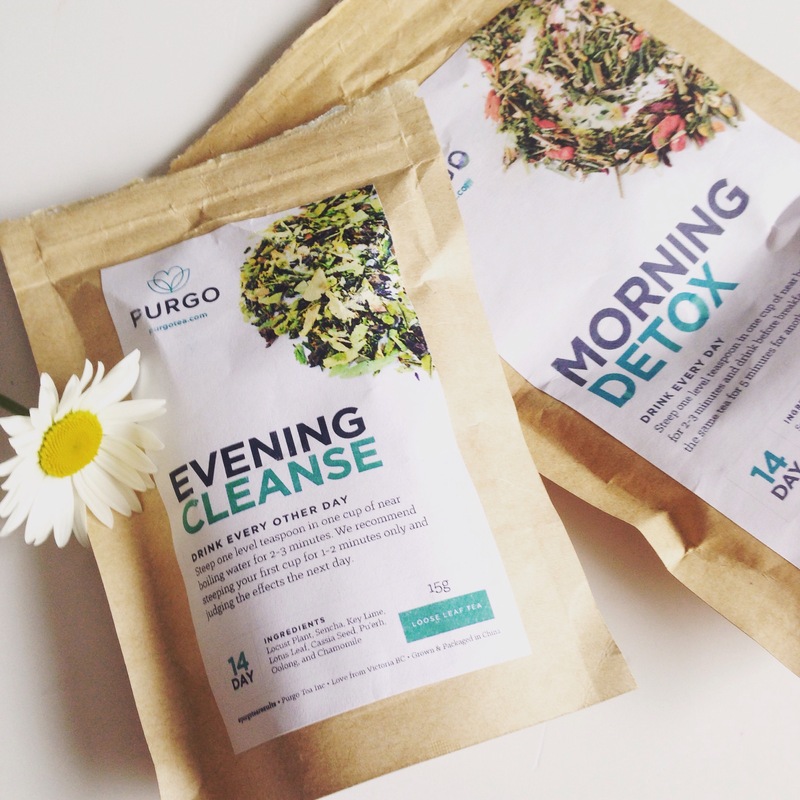 I was contacted by Purgo Tea Company to try out their 14 Day Morning Detox tea and the 14 Day Evening Cleanse for review purposes. I am so glad they did because I feel so amazing from this detox tea. This is the best detox tea that I’ve tried so far. It is very gentle on the body and really detoxifying. The tea smells great and there is no aftertaste. It is all natural and wonderful! I feel fantastic and I am seeing great results from this detox. Ben Robinson’s story is very powerful and inspirational in many ways. He struggled a lot and through his struggles he found a way to help himself and others with this amazing and positive detox tea. Truly motivational and I am truly moved by his important message and story. Purgo 14 day Detox Tea is the perfect detoxifying tea that has helped me a lot! Before this tea I felt bloated and my energy was down. Along with this tea I made some changes to the way I eat. I’ve been off of white sugar for almost two months and I’m eating better then before. I’m slowly making changes to my food intake and better choices for my body. I feel this is the perfect way to start a healthy lifestyle. 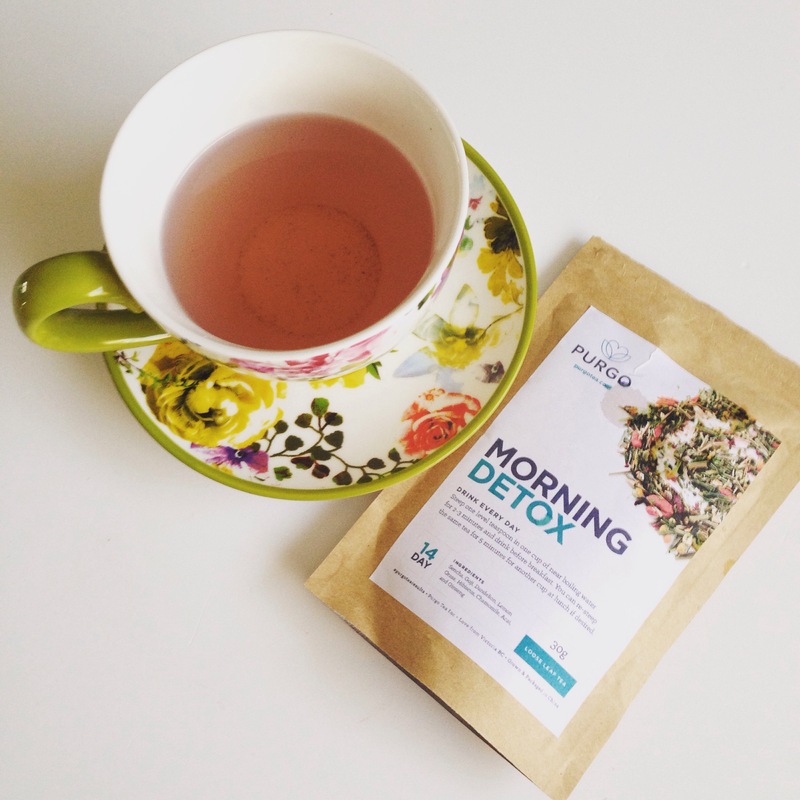 Purgo Detox Tea is the perfect tea that has made my body function better! It has helped detoxify my body of harmful toxins and this tea has helped me make a fantastic start to a healthy lifestyle. The teas contain high-quality, all-natural ingredients. They are gluten-free and have absolutely no artificial additives! Morning Detox Tea: Sencha, Dandelion, Lemon Grass, Goji Berry, Hibiscus, Chamomile Flower, Acai Powder, and Ginseng Root. 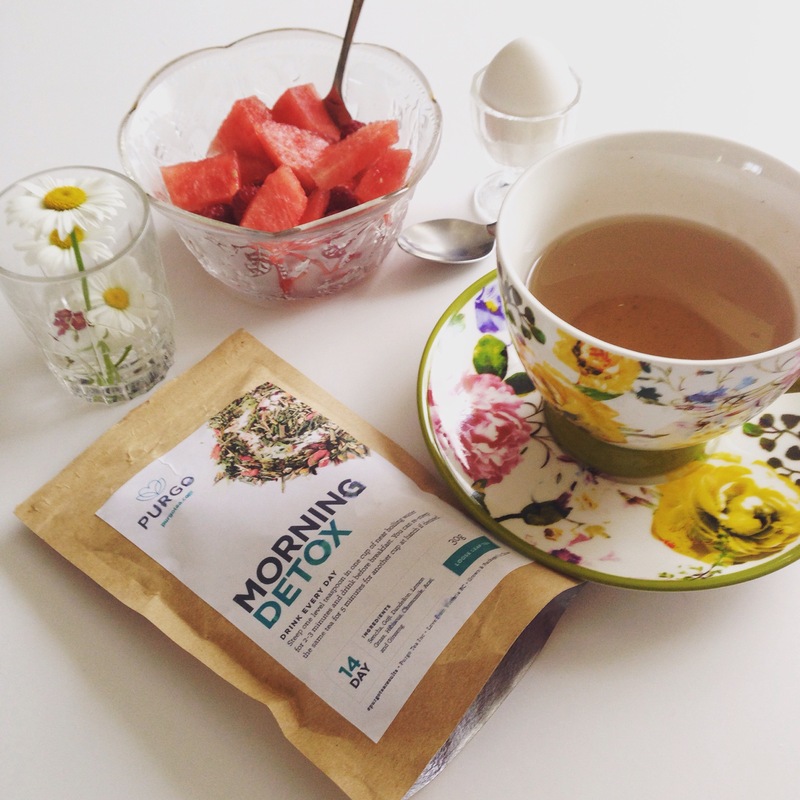 The first thing I do in the morning is make my Purgo Morning Detox tea and drink it nice and slowly. I then wait a little. Sometimes 30 min to 1 hour and then eat my breakfast as normal. I do not add sugar in my tea. I add honey. The tea is loose leaf so you will need an infuser. I have a fantastic infuser from TEAVANA. Evening Cleanse Tea: Locust Plant, Sencha, Key Lime, Lotus Leaf, Cassia Seed, Pu’erh, Oolong, and Chamomile Flower. I drink my evening tea a little before bed time. I truly enjoyed the flavours of both teas very much. They are truly delightful and have a pleasant smell also. Thank you so much to Ben Robinson for the wonderful 14 Day Detox Tea. I’ve had an amazing journey and I feel fantastic! Purgo Detox Tea has helped my body and mind function better and I highly recommend it! *This amazing detox tea has been given to me for review purposes. All opinions expressed are 100% honest and true. If you decide to but this tea you will receive a 5% Off your purchase! your teacup is the cutest!! !